As the seemingly endless assault of winter continues, a trip to the South Pacific or the sparkling Mediterranean is starting to sound pretty darn good. As if record-breaking low temps aren’t enough incentive Paul Gauguin Cruises is offering up some serious deals for Tahiti, French Polynesia, the South Pacific, and Southeast Asia voyages aboard The Gauguin, and European sailings aboard The Moana, when booked between March 3 and 15, 2014. According to a release, guests will benefit from exceptional savings of $850 to $4,150 per person off previously advertised rates while enjoying the highest standards of luxury, quality, and service in enchanting destinations. Here’s the breakdown of all the savings that await as you bid your frozen climate adieu. A 13-night voyage around the Society Islands, Cook Islands, Tonga, and Fiji starting May 17, 2014. Just $5,995 per person. A 12-night voyage around Australia and Fiji starting Aug. 18, 2014. Just $5,345 per person. A 14-night voyage around Australia and Southeast Asia starting June 25, 2014. Just $4,995 per person. A 14-night voyage around Southeast Asia and Australia starting Aug. 4, 2014. Just $4,995 per person. 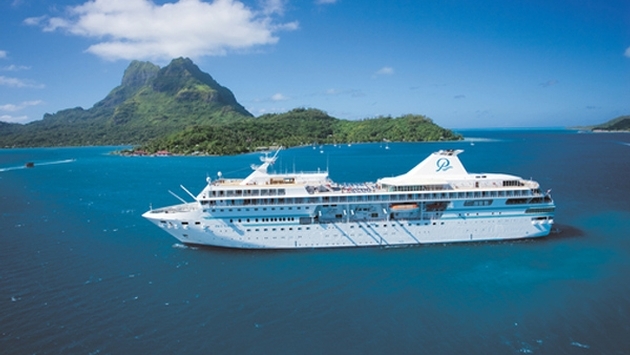 A seven-night voyage around Tahiti and the Society Islands starting Sep. 20 and 27, 2014. Just $4,145 per person. A seven-night roundtrip voyage to Rome, Italy starting April 26, 2014. Just $2,845 per person. A seven-night voyage from Rome to Venice, Italy, starting May 3, 2014. Just $2,845 per person. A seven-night roundtrip voyage to Venice, Italy starting May 10, 2014. Just $2,845 per person. A seven-night voyage from Athens, Greece, to Istanbul, Turkey, on May 31 or a reverse itinerary on June 14, 2014. Just $2,995 per person.